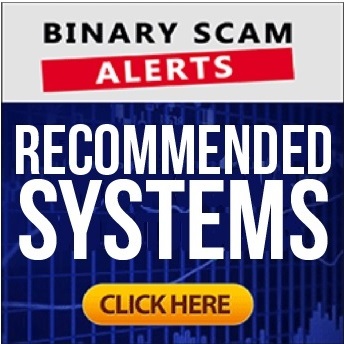 Binary Scam Alerts is posting a severe SCAM notification in regards to the Hedge Formula Group AKA the HFG software, app, and Auto-trader as well as George Dalio the fake actor and cheater. Our team of researchers smelled a rat when a flurry of SPAM Emails arrived directly into the inboxes of unsuspecting day traders wanting to profit trading binary options online. After a careful review and investigation, we were able to compile an evidence base which leaves no room for doubt, misinterpretation or hesitation about this system possibly being legit. The facts are conclusive and the obvious conclusion is that we are dealing with a very nasty scam as well as a severe case of documented plagiarism. First, we have found this story to have more holes in it than a big wheel of Swiss Cheese. But even more outrageous is the fact that this low-level con artist and paid actor claims HE is exposing fake gurus. I think this guy has his wires crossed. His job is to look stupid and read off a teleprompter, and our job is to shed light on his misdoings. I believe the people behind this scheme got a little bit confused and will now pay the price and get blacklisted in the most aggressive and uncompromising way. If you take a look at what this person has to say you will see how ridiculous he sounds. First of all 98% accuracy is a complete fallacy and devious attempt to distort the truth. No system in the world can offer this kind of ITM ratio and if anyone tells you otherwise simply ignore them and move on with your life. Moving forward, this person says the Hedge Fund Group manages $154 Million in global investments, so we investigated it and found out that there is a real company called Hedge Fund Group and they are actually good guys with a solid reputation for managing funds. The real CEO is called Richard Wilson and their address is 328 Crandon Blvd Suite 223 Key Biscayne, FL 33149 United States of America. When we contacted them they were shocked and extremely irate about having their intellectual property stolen by cyber-hooligans, not to mention their reputation tarnished. It really saddens me how these people think they can get away with something like this without having their evil scheme exposed in the worst possible way. Keeping in line with the SCAM tradition these people have hired Fiverr.com actors, and paid them a measly $5 to read some script and lie through their teeth. I could take screenshots add it as additional documented proof, but considering the image above I believe you can just take my word for it. George Dalio is promising you “life changing money and easy, consistent income to fit into your busy lifestyle.” He is talking about making $29,976,882 a year, if you are willing to take advantage of this free offer. He continues to mention VIP access to expensive restaurants, fancy cars, and the usual spiel about lifestyles of the rich and famous. According to this guy his software “always wins” and not only that, he is now making it available for the public and lifting the lid on “phony gurus” and exposing them. In reality this person is a paid actor and not a very good one, honestly I would not buy a piece of gum on the street from this guy considering the way he looks and acts. If you have accidentally bought into this scheme, make sure you stop and start counting your blessings because it is a complete travesty and farce. Don’t even think about mixing strategies like scalping or momentum trading on 60 second options, or implementing candle sticks or bolinger bands analysis. Just collect whatever is left of your money and get on with your life as fast as humanly possible. Well, yes but you will need to part with at least $250 as initial capital to fund a trading account with some shady unregulated broker that’s in cahoots with these fraudsters. These include but are not restricted to: Profits Infinity, Cloud Trader, Trianasoft, Quantum Income Machine, The Free Money System with Walter Green, Millionaire Blueprint, Amissio Formula,Trade Tracker Pro, Lie Detector Millionaire, the Push Money App with Dennis Moreland, Insured Profits with Dave and Ginny, and the Binary Interceptor. There are always new systems coming however our staff goes to extreme measures to properly review each one before we decide to display them in our recommended software section. The Hedge Formula Group AKA the HFG software, app, and Auto-trader as well as George Dalio is a verified binary options investment scam of the worst kind. After reviewing this obvious sham we have come to the conclusion that there is not one thing which is genuine, sincere, or honest about this app and it will surely take inferior positions intentionally and steal your money. We strongly urge all our members and viewers to avoid this system at all costs and seek alternative means of investing. Feel free to contact us through our Facebook group or YouTube Channel to get more information.